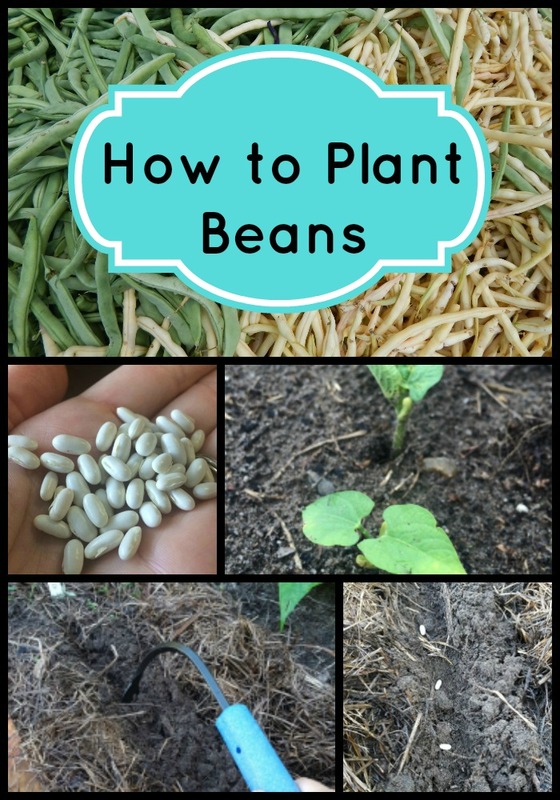 Learning how to plant beans may sound basic, but if you are growing your first garden this will provide step by step details. Beans are one of my new favorites! They are easy to grow from seed and their large size makes them manageable for planting. For Florida gardeners, the When is often more important than the How. 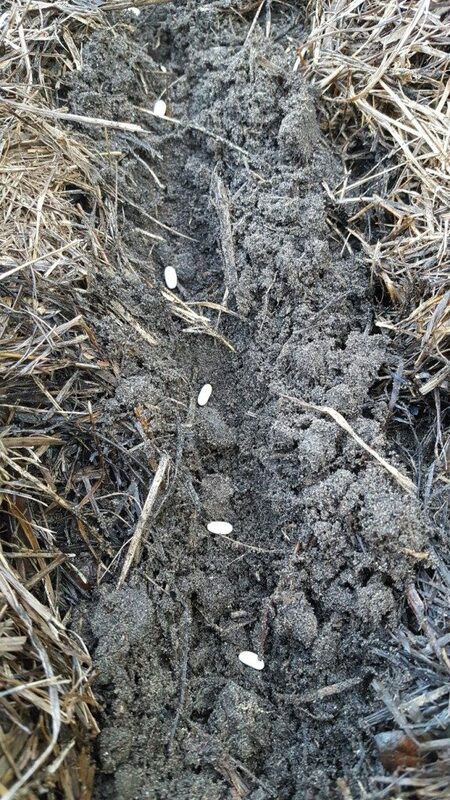 The timing of planting dates is critical to success. Especially if you are originally from more northern climates like I am, getting used to this new “gardening calendar” is important. 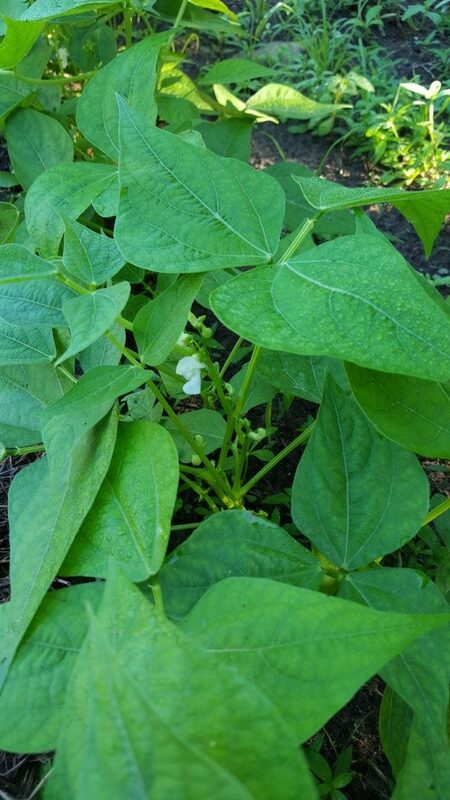 The best time to plant beans in Florida is September through December and February through April. Why not January? Often the soil is too cool during this month for the seeds to germinate well. If you plant before or after January the plants will already be growing. 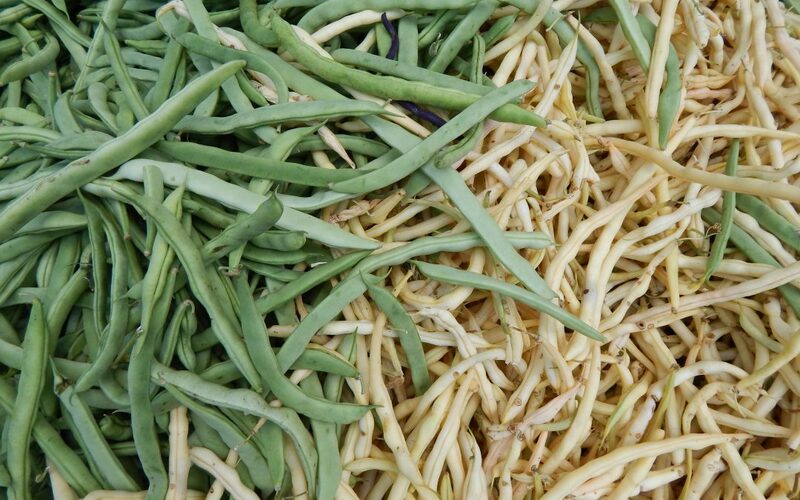 For a continuous supply of beans to harvest, consider planting batches of seed every 3-4 weeks. 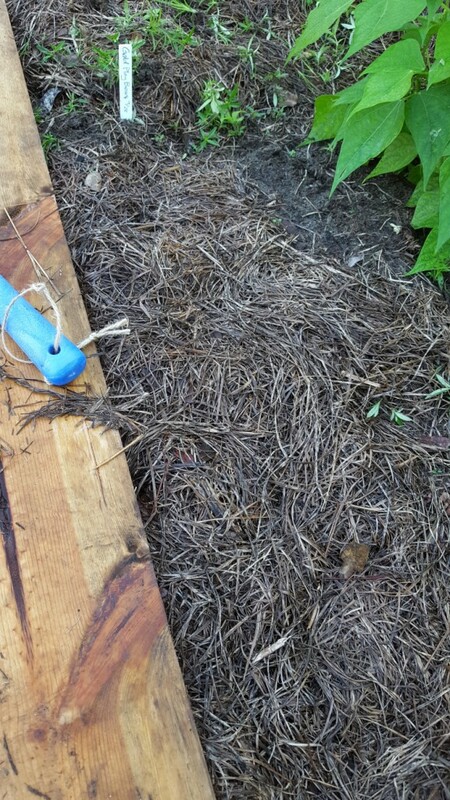 I’ve mulched my veggie plot with a layer of newspaper with bahia straw on top. The newspaper keeps most small weeds from germinating and the straw keeps the paper from flying away. If you aren’t using any weed barrier ignore step #1. Step #1. 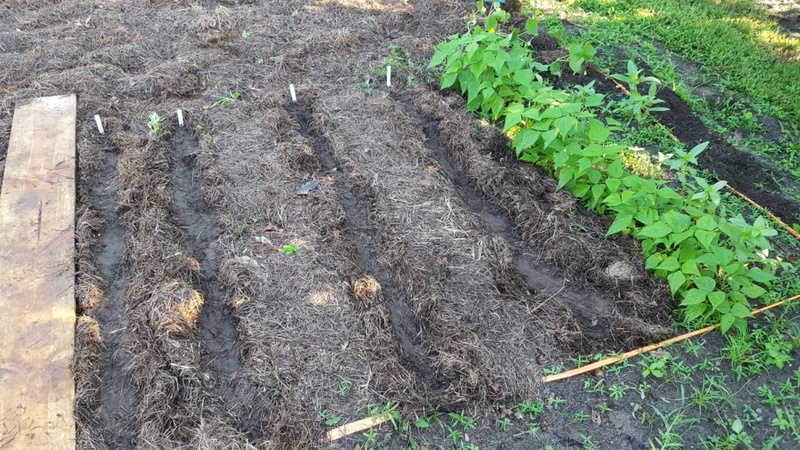 Pull back mulch and newspaper 3-4″ wide where the row of beans is to be planted. Just slide it to the side where it will continue to help prevent weeds. Step #2. Loosen the soil and dig a small trench along your row. 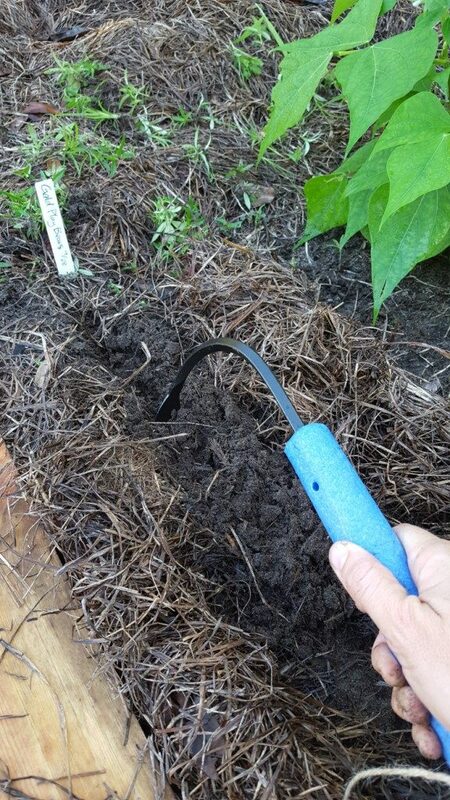 I am testing out this CobraHead weeder and cultivator tool and it seemed to be great for this small area. You can always use a trowel or probably even a stick for this task. Step #3. Sow seeds directly into the soil be spacing about 2″ apart and 1″ deep. If your trench isn’t quite deep enough, just lightly press the seeds into the soil. Step #4. Cover the seeds with approximately 1″ of loose soil. 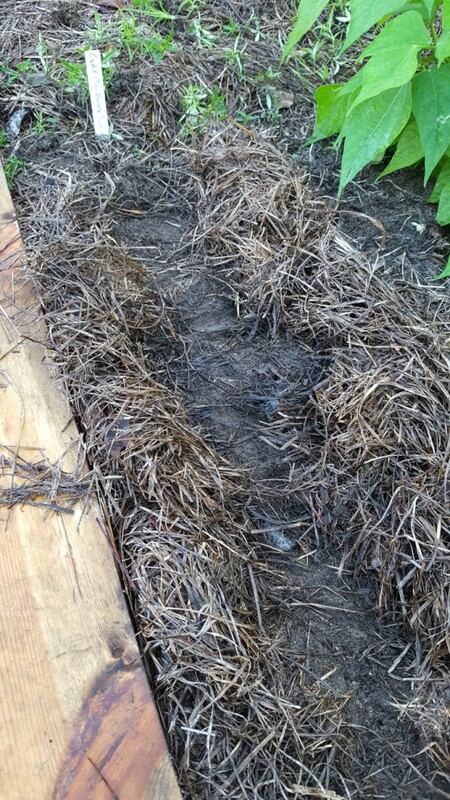 I just pull the soil on each side of my tiny trench back onto the seeds and lightly pat firm with my palm. 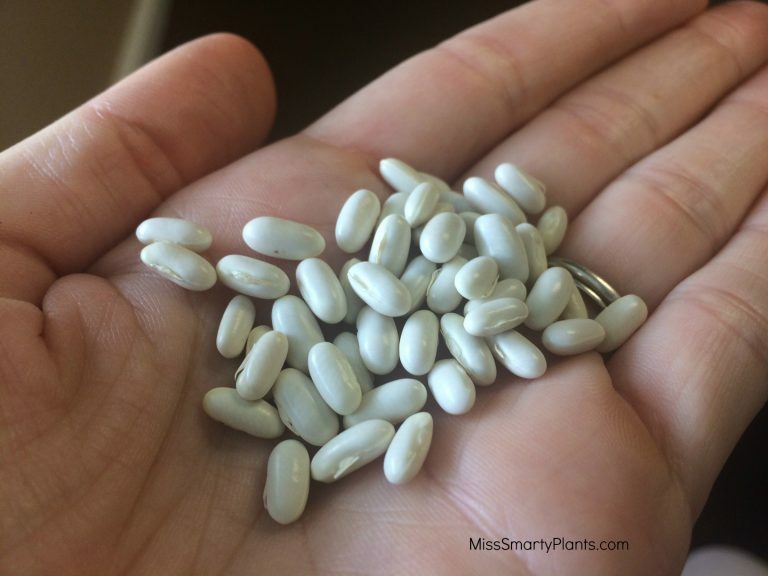 Beans are lovely fast growers and if kept moist should germinate within a week. A reminder on how to plant beans may seem basic, but it certainly can’t hurt. The estimated harvest time on my ‘Gold Play’ beans from Johnny’s Seeds is 52 days. I am sure I will be watching theses with eager anticipation of a harvest, but I did add this to my calendar also. Maybe that will help me from getting too antsy! Ready to get planting? Now is the time.